Details: 1331 Crossings Blvd. in Shakopee, MN – near the nexus of US-169 and Highway 13 West. 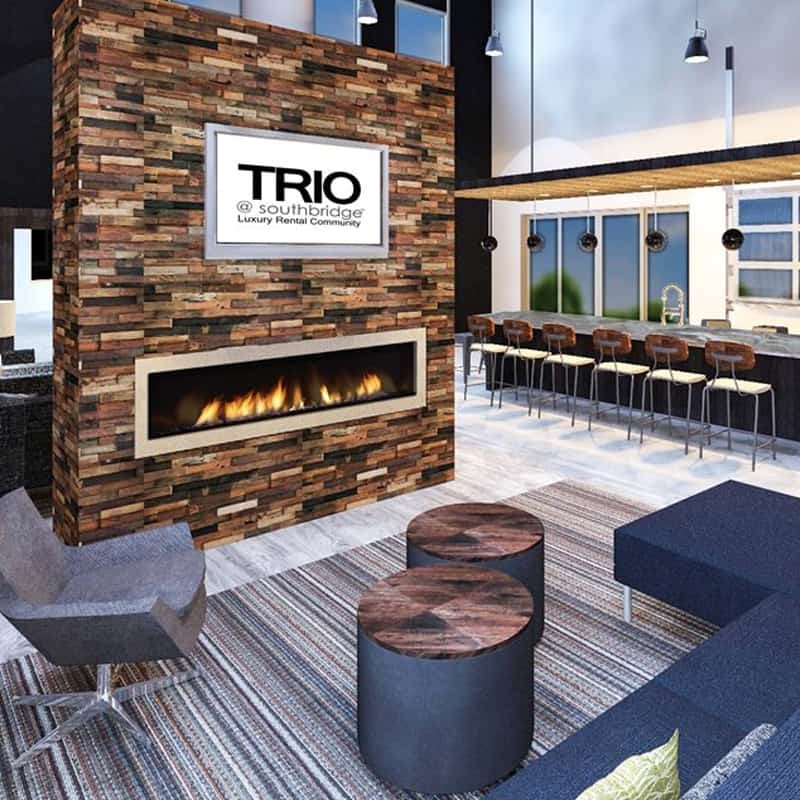 TRIO @ Southbridge will open November 2018 in Shakopee. TRIO @ Southbridge is 100 units of apartment homes consisting of 1, 2 and 3 bedroom units. Amenities include underground parking, in-unit laundry, stainless steel appliances and decks/patios. TRIO @ Southbridge offers a separate community building with yoga/workout studio, weight equipment including cardio machines, outdoor pool with grill, and many rooms for gatherings with family and friends. TRIO @ Southbridge is on Crossing Boulevard near the movie theater, many restaurants, retail/shopping and grocery stores.